The second Israeli Jazz & World Music Festival kicked off on Tuesday, but some of the best shows take place in the coming week. In this week's paper I wrote a preview of Sunday's concert by the trio led by trumpeter Avishai Cohen—arguably the most exciting Israeli jazz musician in the world—but another terrific New York-based expat will take the stage on Tuesday at the Chicago Cultural Center. Avishai's better-known sister Anat will lead her terrific quartet next weekend at the Green Mill. Since relocating to New York from Tel Aviv over a decade ago, trombonist Reut Regev has been a steady presence in a number of stylistically disparate bands—various Anthony Braxton ensembles, experimental Latin-jazz band Positive Catastrophe, and other projects led by folks including Michael Attias, fellow Israeli Assif Tsahar, and Adam Lane. Last year she released Exploring the Vibe (Enja), her second album as a leader, where her muscular, metallic tone easily bit through a high-energy, hard-hitting sound laid out by drummer (and husband) Igal Foni, bassist Mark Peterson, and guitarist (and Chicago native) Jean-Paul Bourelly. The music is undeniably extroverted and aggressive, often employing a tough funk attack where the leader's brash tone and melodic improvisational style ride the bumpy rhythms with infectious ebullience. Even when her band, called R*time, cools off a bit, as on the improvised jam "Ilha Bela," there remains a full-bodied, tightly coiled sound, as if the restraint is a struggle, holding in the quartet's power. More typical is the loose funk of "Madeleine Forever," where Bourelly unleashes wah-wah-kissed solos (and concurrent screams, as if the strings didn't offer enough of an outlet for his feelings) that one might expect from his contemporary Vernon Reid. 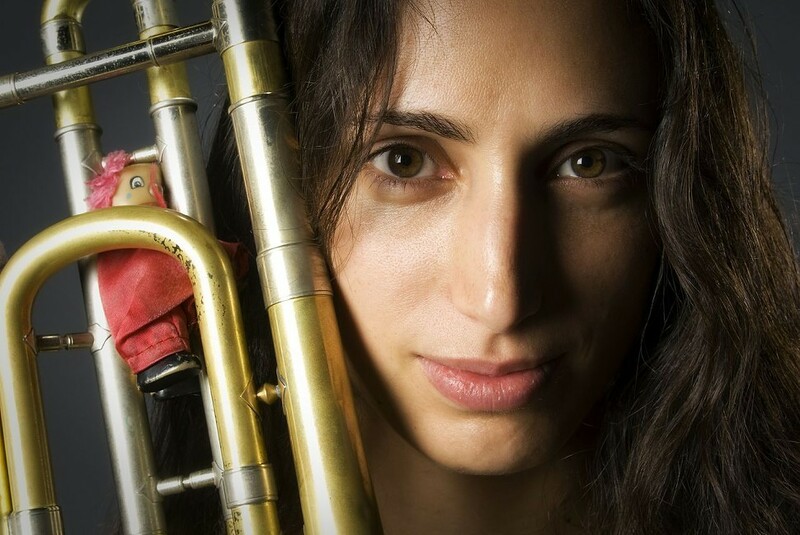 Regev deploys a wonderfully huge, brassy sound, one that easily holds attention during her solo intro to "Blue Llamas" and she's just as effective on the back half of the tune with more subtle harmonic tricks. For her Chicago debut she's leading a trio version of the group with Foni and Peterson. Below you can check out the terse little "Ok Oj," a tune by Foni and Attias dedicated to the great jazz drummer Oliver Johnson. Reut Regev's R*Time, "Ok Oj"